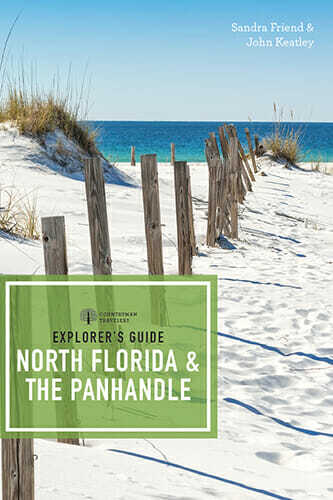 Discover the quiet side of the Sunshine State in our guide to the best activities, destinations, lodging, and dining throughout our favorite part of Florida, North Florida and the Florida Panhandle. Sweeping from Pensacola across the state to Jacksonville, and across the northern part of the peninsula down to Cedar Key, Gainesville, Palatka, and Flagler Beach, this comprehensive guidebook leads you to shimmering springs, fascinating historic sites, down-home eateries, parks and trails, and a bevy of natural wonders that you may never have heard of before. We spent nearly a year on research for this third edition, our first full-color guidebook for a major publisher, and we’re pretty pleased with the results.